Construction Accident Settlements | Law Offices of Louis Grandelli, P.C. Our efforts have generated many multimillion-dollar verdicts and construction accident settlements for our clients. For workers injured in construction accidents, there are two avenues for pursuing the compensation necessary to help them through their recoveries: workers’ compensation and third-party claims. Third-party claims involve situations where an unrelated third party such as a subcontractor caused the accident that injured a worker. People who suffer on-the-job accidents can file for workers’ compensation benefits and still pursue third-party claims against whoever caused their injuries. Our firm focuses on securing the construction accident settlements & compensation injured workers deserve from those negligent parties. To see more of the positive results we have obtained for our clients, review our notable cases page. 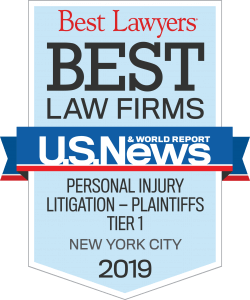 A key to being able to deliver the positive results injured workers deserve is knowing New York construction laws such as Labor Law Sections 200, 240 and/or 241(6). Knowing these laws and how they can be used to secure compensation for injured workers lets us maximize the financial support available to assist with their recoveries. 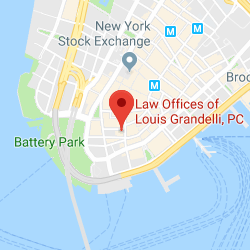 At The Law Offices of Louis Grandelli, P.C., we understand what it takes to secure the best possible outcomes for those who have been injured on the job. Our efforts have generated many multimillion-dollar verdicts and construction accident settlements for our clients. We have been recognized for the quality of our results as individual attorneys and as a firm. 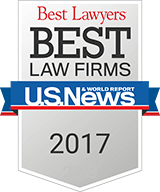 Attorney Louis Grandelli has been named in Best Lawyers in America for the past three years and in Super Lawyers every year since 2010. Our firm has been named by Best Lawyers as Best Law Firms – Personal Injury Litigation – Plaintiffs for three years in a row. 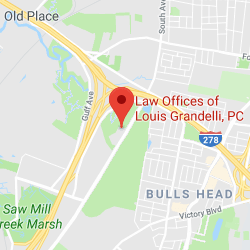 For representation that can help you secure the full compensation you deserve for construction accident settlements, turn to The Law Offices of Louis Grandelli, P.C. To schedule a free initial consultation, call 212-668-8400 (Manhattan Office) or 718-477-1919 (Staten Island Office) or contact us online.